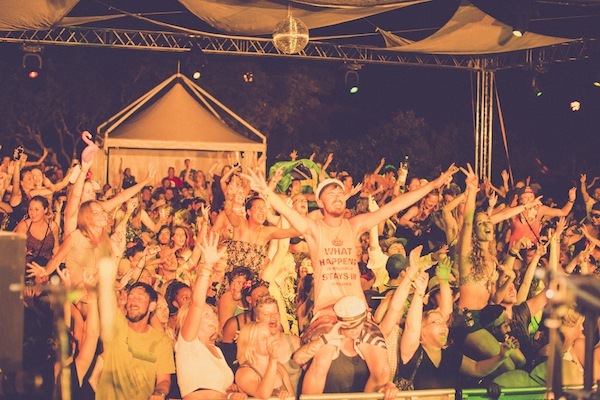 You are here: Home / Blog / Soundwave Croatia Boat Parties and New Acts! 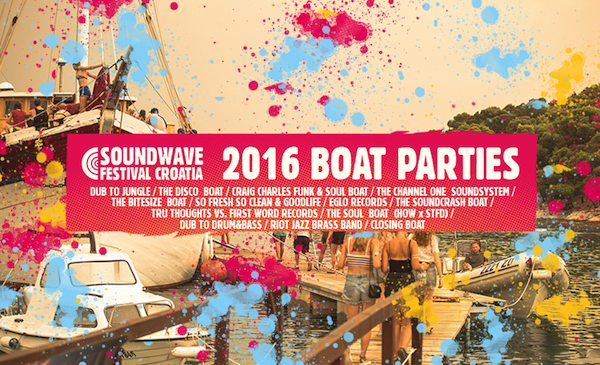 One of Croatia’s top summer music festivals, Soundwave (Thursday 4th to Monday 8th August 2016), recently announced exciting details of new names that have been added to their line-up…as well as info about the all important Soundwave Croatia boat parties! 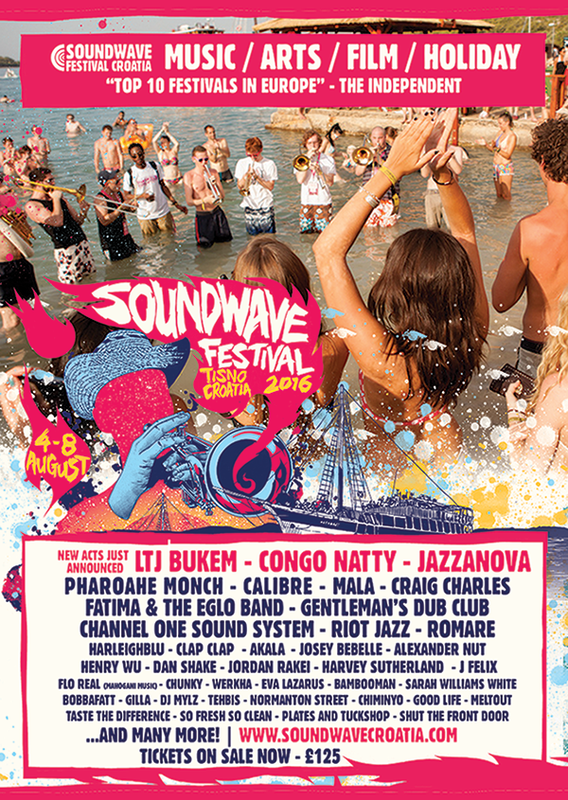 Already bursting with top names on the bill for the festival’s eighth edition – see our post on the latest artists added to the Soundwave bill – the three new acts to be added to the line-up are LTJ Bukem, Congo Natty and Jazzanova. They’ll join acts performing at Soundwave such as Pharoahe Monch, Calibre, Craig Charles, Gentlemen’s Dub Club, Channel One Sound System and many, many more. 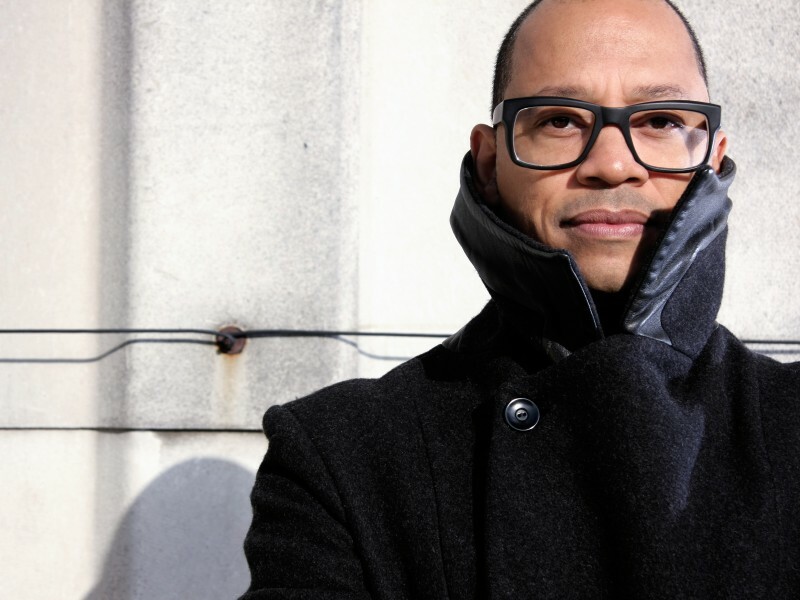 Drum and bass pioneer LTJ Bukem is one of the UK’s most iconic names, with his Good Looking label embracing the jazzier, more atmospheric side of the scene. And leading the Jungle Revolution is the amazing Congo Natty; the lauded Rebel MC blends African-inspired rhythms and heavy urban beats in his rousing sets. 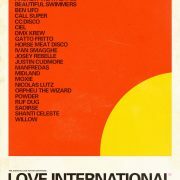 And the revered eclectic collective from Berlin, Jazzanova, have been busy producing, composing, arranging, remixing and DJing for many years, continuing to create magic in clubs, the airwaves, their studio and live on stage, with their label Sonar Kollektiv one of Europe’s most respected. But what about the boat parties, you say? 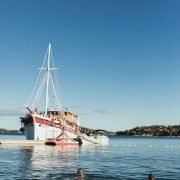 As ever, these will all take place on the legendary vessel The Argonaughty and are a core part of the festival – what’s better than partying it up on the Adriatic waters? 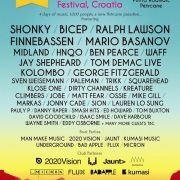 With sun-kissed frivolity by day and star-speckled mayhem at night, make sure you snap up www.soundwavecroatia.com/ for one (or more!) or these parties quick! Bedmo Disco, Origins & Harvey Sutherland. 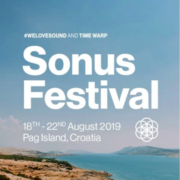 Take a look at our guide to Soundwave, or check out the official www.soundwavecroatia.com/ where you can find all the info you need. And look them up on Facebook, Twitter and Instagram for all the latest festival news! 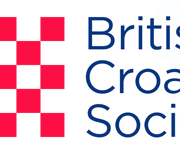 https://www.visit-croatia.co.uk/wp-content/uploads/2017/09/visit-croatia-logo5.jpg 0 0 annaz https://www.visit-croatia.co.uk/wp-content/uploads/2017/09/visit-croatia-logo5.jpg annaz2016-06-06 09:47:192018-02-11 14:31:39Soundwave Croatia Boat Parties and New Acts! Uber on the Croatian coast! 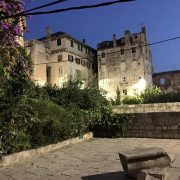 New Jadrolinija catamaran line from Dubrovnik to Korcula, Hvar and Bol!